A man is found murdered on the beach in Miami, and the contact information of a local private detective is found on his body. Now P.I. Maggie Thomas is thrown into the case. Why had the murdered man been looking for her? 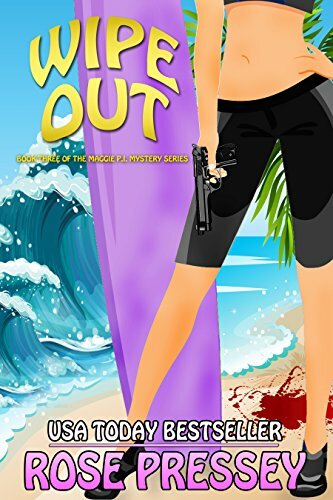 But there's more than one murder to solve, and she's determined to prove that she has top notch detective skills, despite what handsome detective Jake Jackson thinks. Lucky for Maggie she has the help of her orthopedic shoe-wearing assistant Dorothy Raye. Knitting needles make good weapons in a life or death situation, and Dorothy's not afraid to use them!